The concept of an interactive computer-based system that helps companies make better business decisions has been around since computers came into widespread use. The vision is deceptively simple. Companies take advantage of in-depth reporting tools and predictive models to analyze data and learn what happened in their business, why it happened and, eventually, what will happen. This yields a deep, fact-based understanding that complements experience and intuition and leads to exemplary decision-making and dramatic competitive advantage. While this sounds simple, in reality there are a number of pitfalls that can complicate the implementation of a decision support system (DSS). Nevertheless, a number of innovative companies have avoided the pitfalls by understanding that creation of a successful data-driven DSS requires three essential elements: first, a process that carefully gauges the short- and long-term decision support needs of the business and what is required to meet those needs; second, a flexible, step-by-step plan for growth; and, third, a centralized data warehouse that can deliver a single, comprehensive, and up-to-date picture of the enterprise that all levels of the organization can access as needed. The process begins with an analysis aimed at precisely defining the business challenge(s) that your DSS will address, both in the short- and long-term. After identifying all the areas that might benefit from improved decision support, you must then prioritize. For example, you may recognize that your marketing department has delivered solid results for its direct marketing programs. How can you maintain or boost the direct marketing program's success while lowering the cost? The data-driven DSS enables you to cost effectively target customers that are most likely to respond. It helps you more clearly understand the customers you have been targeting, the customers you need to target (perhaps broken down by geography and demographics), and what you can change to improve the targeted mailings. In another part of the company your customer service department has been struggling to get accurate, up-to-date information on computer screens at the call-in center. Here, you are hoping the data-driven DSS can help improve customer service and create opportunities for your agents to offer additional products and services. Both situations present legitimate cases for implementing a DSS, but to decide how to proceed you need to consider such things as: Which business unit can deliver the most return on investment (ROI)? Which project can deliver the most substantial ROI? How quickly can that ROI be delivered? The bottom line here is that companies that successfully implement a DSS clearly define and prioritize the problems they are trying to solve, understand what they expect the DSS to achieve, and establish a way to measure its success. Once you have prioritized and implemented - your measurable results can justify extending the data-driven DSS to other business areas and applications. Once you've defined the business goal, it is time to define the targeted user group and its particular needs. Two of the most important questions to explore are: How current does the information need to be? And in what form do the users need it? Consider three potential user groups. Executives tend to need a global, high-level look with much of the analysis done behind the scenes. Rarely do they need information in real-time. In contrast, the front-line employee does need up-to-date information in real-time, but does not typically need global or in-depth types of analysis. And your power users - mid-tier decision-makers such as buyers in retail stores or operations managers who do scheduling for airlines - need both real time and historical detail. It is helpful to create a matrix or table that details the system's users by job positions or by department and document how many individuals comprise each category. From there, you can define the general data requirements of each audience. Include such things as output formats, the type of data, the audience's need to analyze the data, the required frequency of the reports, and how the data will be used. It is also crucial at this point to consider what the needs of each user group imply for privacy and security concerns. For example, at a health insurer, some people may need to see only the number of emergency room admissions over the last six months, while others may need to see individual diagnoses and treatments. The system must be designed in such a way that it clearly identifies and provides access to those who need the selected information and those who should be denied access. This too should become part of your matrix. The third step is to evaluate what data you will need for the system, which involves creating a model that will describe all the data you will need to address the business problem you are trying to solve. Data Sources: Let's assume you are trying to create a direct marketing campaign for a new life insurance product. You know that at the very least you want to be able to see your prospective clients broken down by age, income, and their current life stage (for example, whether or not they have recently had children). Once you've identified the data you'll need, you can map that data against the data elements that currently exist in your environment - and identify where those elements exist. You may find that you are not collecting some data that you need and so will have to start collecting it. Then you can determine contributing factors such as: How many sources are involved? What type of data is contained in each source and in what formats? How much data does each database contain (the number of tables and columns available for query purposes)? Are these databases snapshots at a point in time or are they online in real time? You will need all this information to determine your strategy for loading data into the DSS. Which data gets loaded first? Does all the data need to be refreshed simultaneously? You need to look holistically at all the source information to create your data loading strategy. It is also important to remember that as you identify common data from multiple sources, you must plan to integrate it into the single data warehouse so that you have a consistent view of the same data. This may require data cleansing or data transformations. This consistent view of the data is crucial because so often a data-driven DSS project can be tripped up by bad or inconsistent data. When the entire user group is working from the same, reliable and up-to-date information, they make better, more aligned decisions across the board and get the most out of the information you possess. Data Access: Getting the maximum return on information, of course, is the ultimate goal of data-driven DSS. It's encouraging that the potential to achieve that maximum return has grown with the emergence of powerful analytical tools and applications that provide access to data in a number of ways - and which deliver important new business insights. To get the most out of these tools they must connect to a database that is optimally configured to handle multiple, concurrent queries and to keep the data accurate, up-to-date and consistent for all of the system's users. An enterprise data warehouse provides those qualities in the most efficient and cost-effective way. Having identified the business needs, the user needs, and the data needs, you can now compare your findings to the existing environment and determine what gaps you will need to fill. The gap analysis should lead to a step-by-step action plan that addresses both short- and long-term needs. You need to identify priorities and develop strategies that include a description of initial investments as well as pilot projects upon which the entire DSS can build. One common problem in the planning phase is that IT projects are not well-defined. This leads to unmet expectations, cost overruns and a perception of limited success which translates into not getting an adequate return on investment. It is critical to spend sufficient time planning to avoid these pitfalls. Ultimately, building a flexible, scalable system that keeps business intelligence flowing and that can respond to ever-changing business needs is the mark of an effective data-driven DSS. A careful, step-by-step development process tailored to the needs of your business - with an enterprise data warehouse at the heart of the solution - can deliver ongoing competitive advantage. 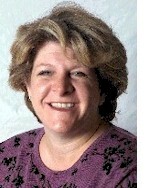 Robin Jessani is senior marketing manager with Teradata, a division of NCR Corporation. She has worked in the data warehousing industry for 12 years. Her experience includes product marketing, product management, and strategy development and partner relations. She earned an MBA from San Diego State University. Jessani, R., "Creating an Effective Data-Driven Decision Support System", DSSResources.COM, 12/05/2003. Dan Conway, Director, Public Relations at Teradata, a division of NCR Corporation, provided permission to feature this article and archive it at DSSResources.COM on Friday, October 3, 2003. You can contact him at Ph. 858-485-3029 and email: dan.conway@ncr.com. This article was posted at DSSResources.COM on December 5, 2003.